If you don’t have a ton of quality, timely content, aligned with your message and geared to your buyer personas, you are at a major disadvantage when it comes to making consistent, predictable, profitable B2B sales. In a B2B sale the customer has moved from conducting 56% of the process on their own to 65% before they’re open or ready to talk to a vendor (or salesperson). According to research firm MarketingSherpa, even small companies have an average of seven people involved in a buying decision; that number goes as high as 21 individuals at larger companies. According to Google’s study, an online search has now equaled or eclipsed advice from friends, family or colleagues in the purchase process. If that doesn’t end the debate about the value and critical importance of content then please stop reading this blog! How much of the content being reviewed and discussed is yours? Long before you have the opportunity to meet a prospect, they have already researched, judged, and in many cases selected the vendor they are going to work with. 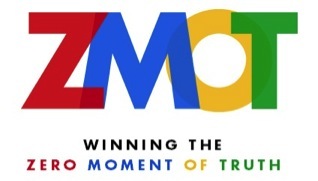 This period of time where the prospect is researching on their own is called the Zero Moment of Truth (ZMOT). You’ll be completely missed. You’ll lose the opportunity without even knowing it was there. You’ll be perceived as a pure commodity. Price and other unreasonable terms will drive the decision process. Your business will become less predictable and margins will deteriorate at an accelerating pace. Be (manically) clear on your buyer personas. Make sure your website is positioned for the ZMOT. Map your buyer’s journey and build the content to match your key personas at each phase of their journey. Make sure all of your marketing tactics (telemarketing, direct mail, advertising, etc.) are fully aligned to support the ZMOT. Build a conversion path that turns strangers into visitors, and visitors into leads. Make sure you’re ready to effectively and appropriately follow up with your leads. Revamp your sales process to connect with your personas at each phase of their journey. Ensure that your sales and marketing efforts are aligned throughout the sales process by developing clear service level agreements between the two functions (even if there’s only one person managing both functions). Prepare your sales process for the complexities involved in selling in a ZMOT driven process, where you often will not be able to begin your conversations with (or even get direct access to) key decision makers. Close the loop, study your analytics and measure and adjust. As I’ve shared before, it’s a seller beware world and to succeed you better bring your A game.